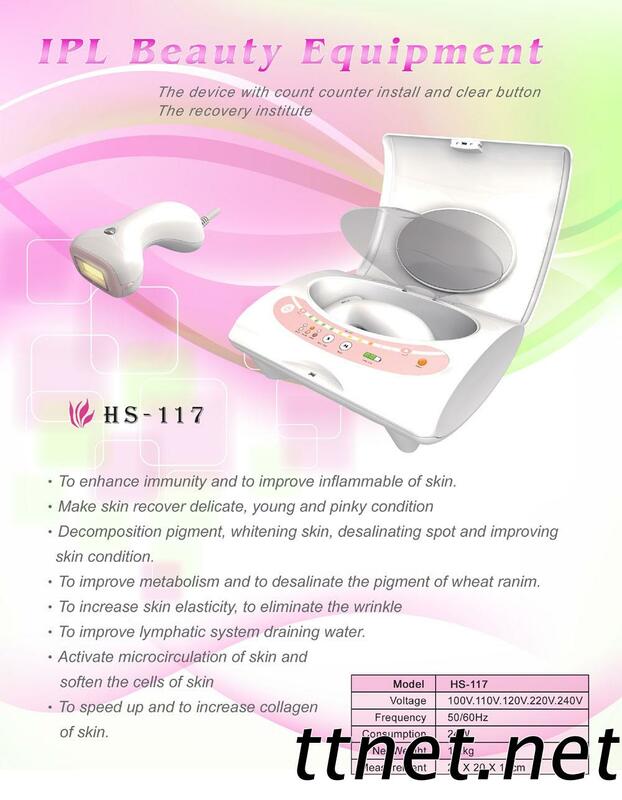 Taiwan Beauty Instruments (HS-117) IPL Beauty Equipment, Skin Care Machine, Facial Cleanser - Palifull Co., Ltd.
•To enhance immunity and to improve inflammable of skin. •To improve metabolism and to desalinate the pigment of wheat ranim. •To improve lymphatic system draining water. •To speed up and to increase collagen of skin.